Image license: CC0 via Pixabay. 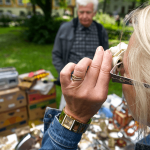 Most cities and large towns have a flea market or two, which might also be known as a swap meet. People who want to sell at one of these markets usually need to pay a small fee and then they can sell to their heart’s content. Of course, sellers rarely – if ever – have access to electricity that can power their sales devices. That means that a person won’t be able to use a cash register, computer, or most other tools to manage their sales and inventory. 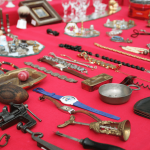 Fortunately, there are a few solutions out there for flea market sellers. 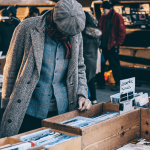 To begin with, most people go to the flea market or swap meet with a relatively large inventory because they want to get things sold and make plenty of money. A lot of individuals like to track what they have so that they can keep sales tallies and figure out what sells the best afterward. It’s all pretty hard to take care of when there’s no electricity around to power devices. Doing all of this on a laptop or through an actual cash register is much simpler than anything else. 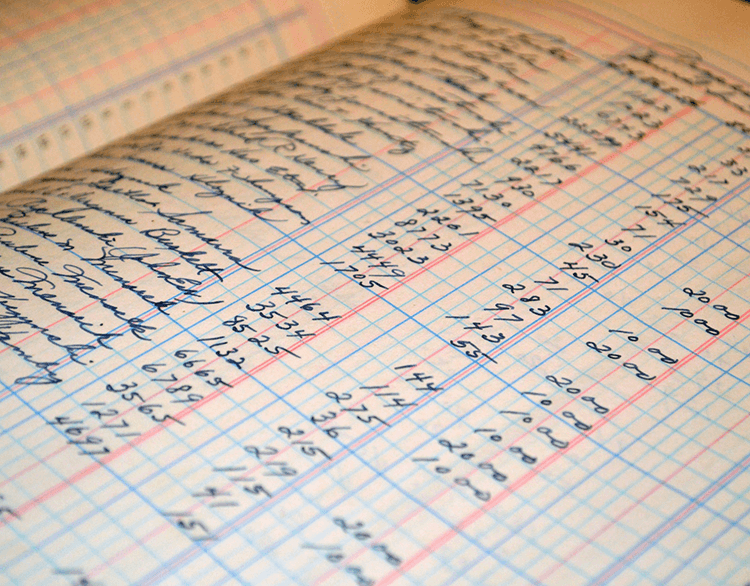 The old-fashioned way to record sales, track inventory, and do any math is to use a pen, paper, and a calculator. Sure, this method isn’t very quick or organized, but it gets the job done. Flea market sellers do have other options at their disposal though. Nowadays, smartphones and similar devices allow a vendor to take care of transactions and inventory tracking with ease. Smartphones can keep track of inventories through detailed lists or an application. Likewise, they can be used to figure out transactions that will act as cash register calculators. Many people who sell at swap meets choose to use these devices to suit their needs. They won’t run out of battery during a day at the flea market if charged beforehand so that they will last the entire time. On the other hand, tablet computers are also a good idea to serve the same purposes. A person can create an inventory list as a document and then take care of transactions with a business calculator. Also, tablets are suitable for flea market selling tasks because they can be held in one hand while dealing with customers or trying to move inventory around. Most swap meet sellers can’t accept debit or credit card payments because they have no way to do so, so cash is the norm at flea markets. However, new devices are available that can allow anyone to take credit or debit cards to process payments. The founder of Twitter created the Square card reader, which allows anyone to charge a card through a mobile device or tablet computer. From there, the funds are directly deposited into the user’s bank account the next day. Now flea market vendors have a way to process more types of payments and not just cash or checks. Inventory tracking couldn’t be easier with the previously mentioned methods. Still, the smaller vendors will probably stick to pen and paper to deal with all of their transactions, but there are plenty of benefits to using technology to take care of sales and inventories. There is no more need to worry about finding a source of electricity at these markets because most smartphones and tablets can last an entire day without needing to charge. Other than that, a seller at a flea market could feasibly obtain a generator to power a cash register or other electronic device that requires a power outlet. These generators will only last for a couple to a few hours with a register, or similar device plugged into it, but that’s enough time for vendors to make some sales and earn some money. In fact, some swap meet sellers do precisely that, so they can easily handle money, ring up sales, and make the change. Plus, the register adds a little layer of security because nobody is going to try to run off with it. No matter how a person decides to keep track of their sales and inventory at their local flea market, the point is that organization is the smartest way to handle everything. Merely setting up shop and loosely handling money and items can result in a lot of problems. In many cases, a person could misplace their earnings throughout the day or have someone steal something without their notice. Organization at the flea market or swap meet prevents theft, loss, and plenty of other problems. Fortunately, sellers have so many options when it comes to handling money, items, and everything else.